Joachim De Weerdt is a development economist based in Belgium. He is Senior Lecturer at the Institute for Development Policy at the University of Antwerp and Senior Research Fellow at LICOS (KU Leuven). 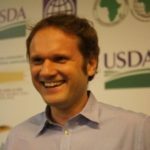 Joachim has lived and worked as an entrepreneur and as a researcher in Africa for 12 years. In 2002 he co-founded Economic Development Initiatives (EDI), a research institution based in Tanzania, where he served as Research Director till 2014. During that time the company grew from a small two-person start-up to one of Africa’s most respected research houses with 40 core employees and frequently up to 100 additional project-based staff. The company has now also expanded into neighbouring Uganda and Mozambique. Joachim has dozens of scientific articles to his name and has published in top journals from different disciplines, such as Review of Economics and Statistics, Journal of Human Resources, Journal of Development Economics, World Development, Demography and the International Journal of Epidemiology.